No, we’re not talking about the capital of Germany. Berlin, Maryland is located in Worcester County. The name isn’t even derived from German – the locals say that it is a variation of the name of an old tavern, Burleigh Inn, that used to be located in town. 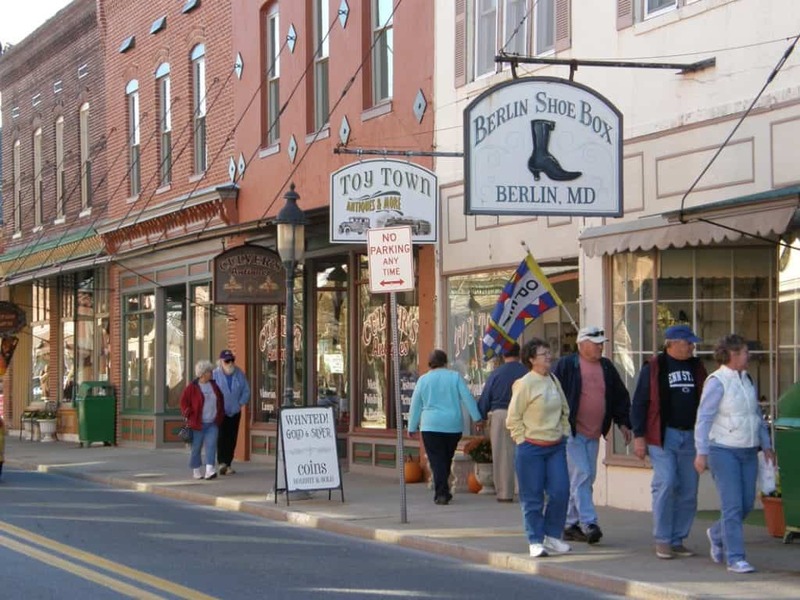 A popular destination for tourists in search of fishing and hunting grounds, Berlin has recently revitalized the downtown area to be recognized as a Maryland Mainstreet Community. Check out nearby Assateague State Park or head to Dr. Shred’s Surf Adventures if you’d spend time at the beach. Bring your camera and wander Main Street’s historic buildings and shops before stopping in for a pint at Burley Oak Brewing Company or a glass of wine at Maryland Wine Bar. The Blacksmith serves up some great food, and you can stop in for dessert at Bakes Dessert Cafe after. Put your feet up at Holland House Bed and Breakfast and enjoy a peaceful night’s sleep!